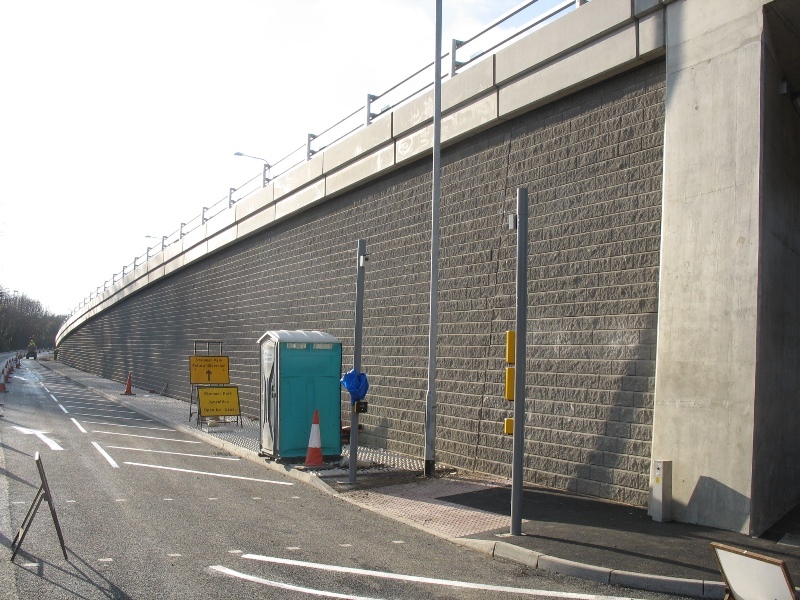 To support the construction of a new Community Stadium and new building works by the University of Brighton the existing road network required major improvements to interface with the existing and proposed infrastructure. 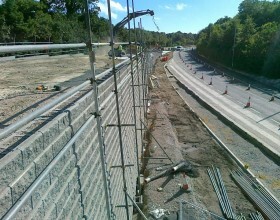 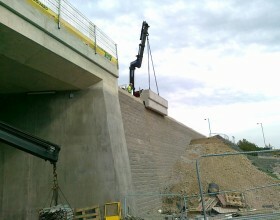 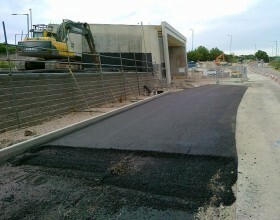 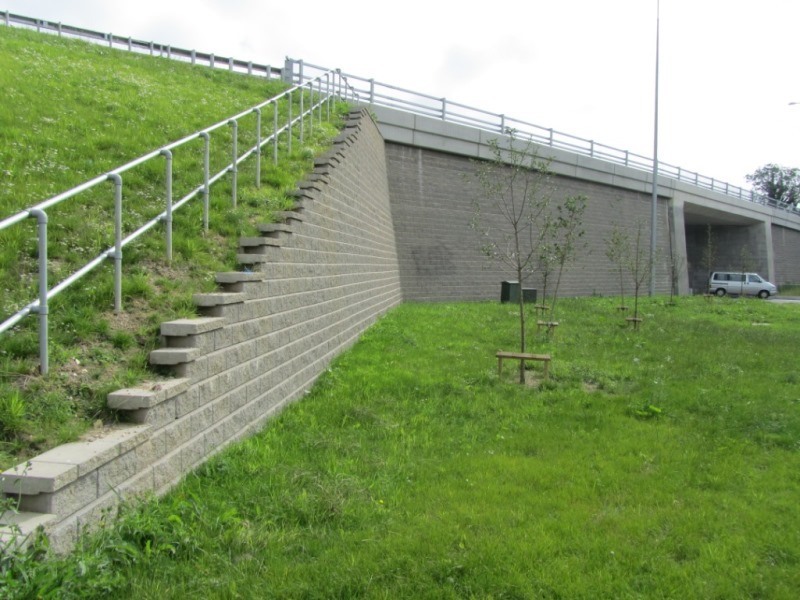 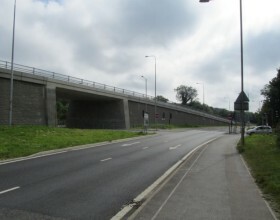 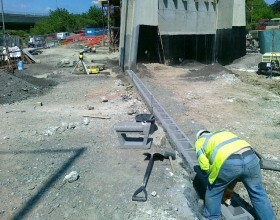 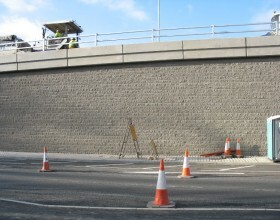 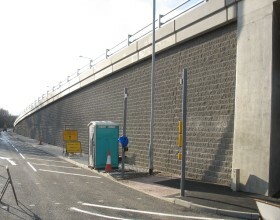 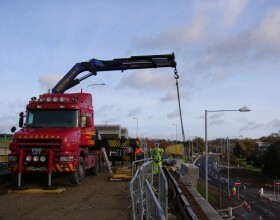 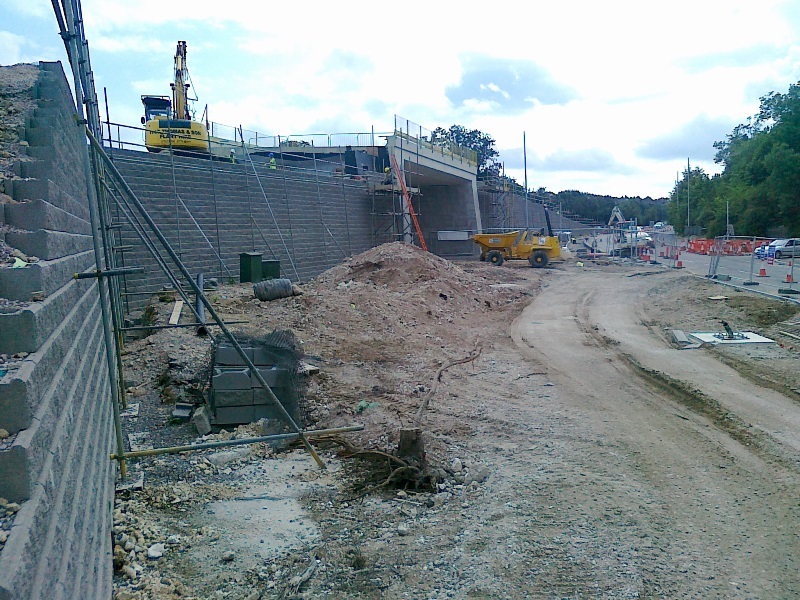 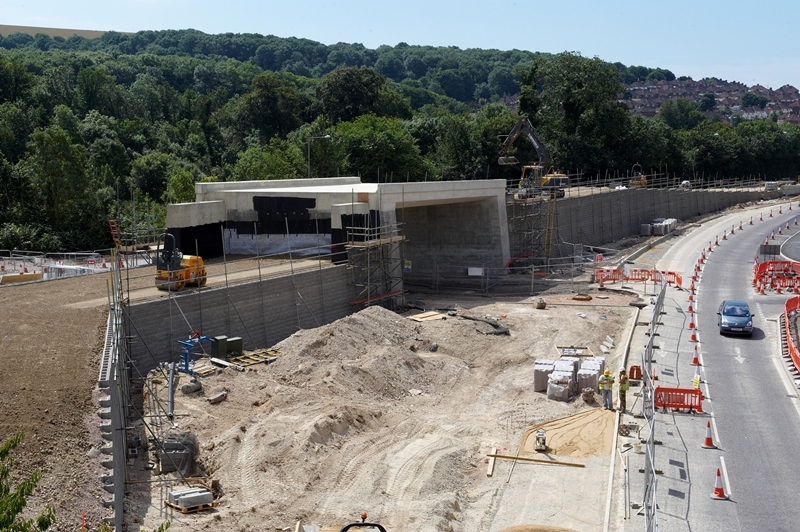 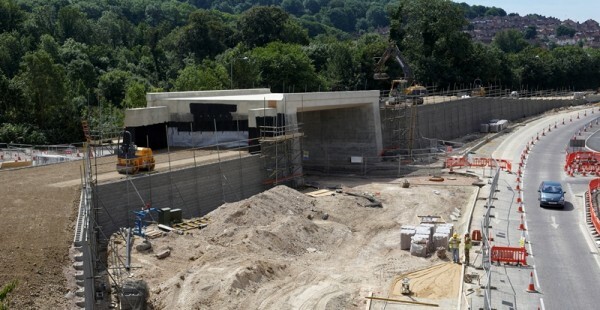 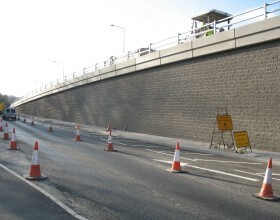 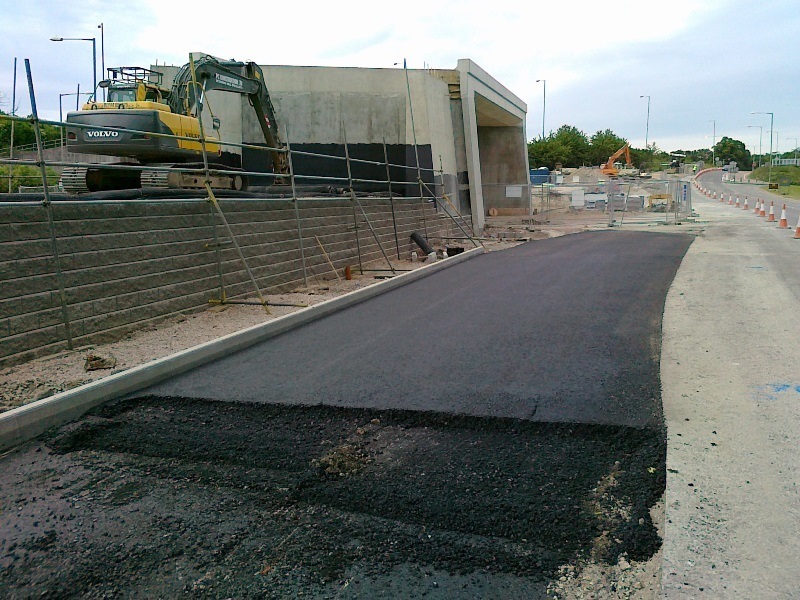 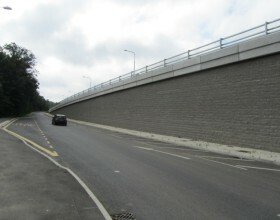 The new Brighton and Hove Albion Stadium Project required improvements to the A270 Lewes Road which included a new underbridge and associated approach retaining wall ramps and embankments. 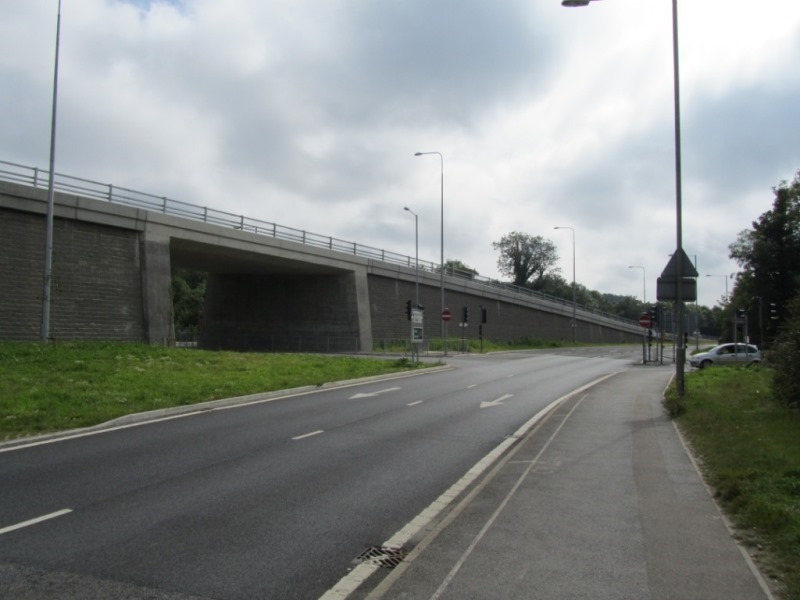 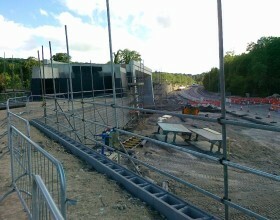 The purpose of the flyover at the junction of the A270 and the A27 is to separate Brighton-bound traffic using the A27/A270 from traffic using the Falmer School and Stanmer Park access roads, both of which access park and walk facilities for the stadium. 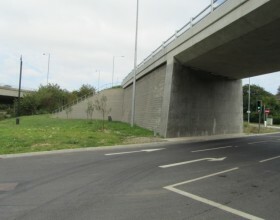 To the South of the underbridge the new ramp runs down the existing wide central reservation between the north and south-bound lanes of the A270. 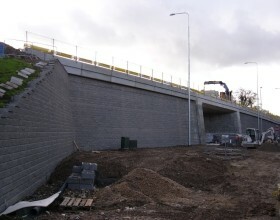 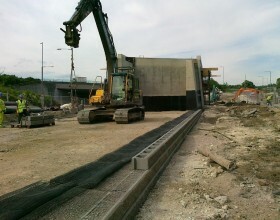 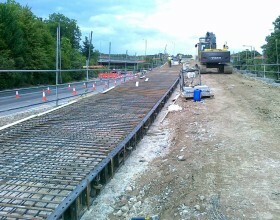 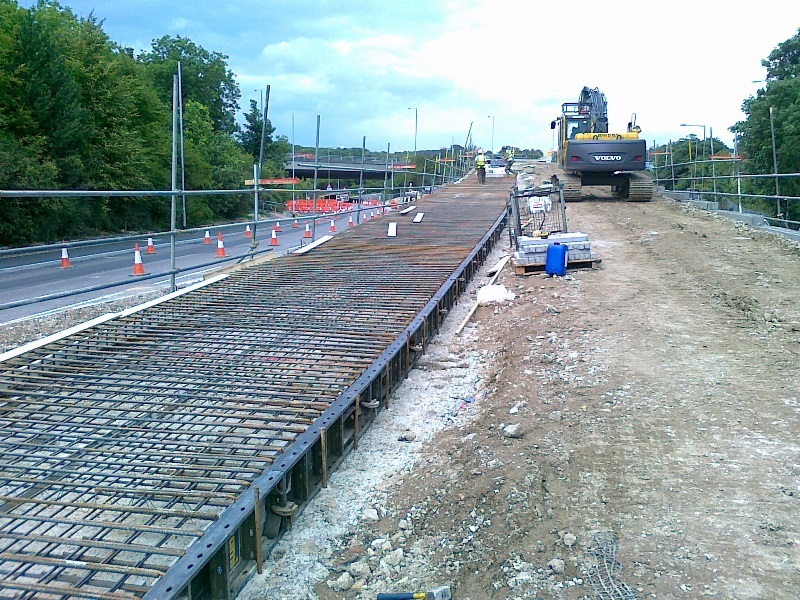 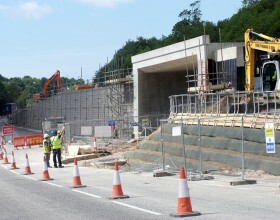 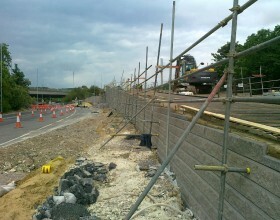 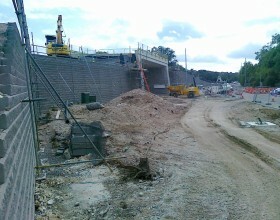 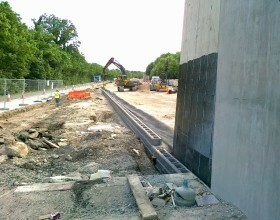 This section of approach ramp required the construction of retaining walls on both sides to support the carriageway coming away from the proposed bridge. 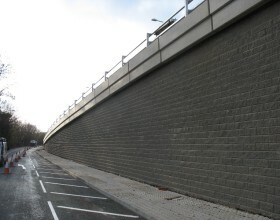 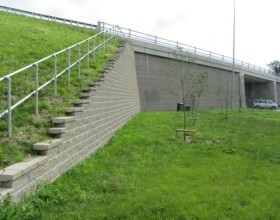 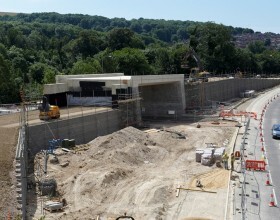 Two short sections of retaining wall were required to the North of the underbridge together with a reinforced soil embankment with a face inclination of 1:1 to the Northwest. 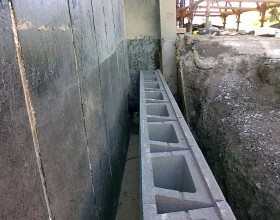 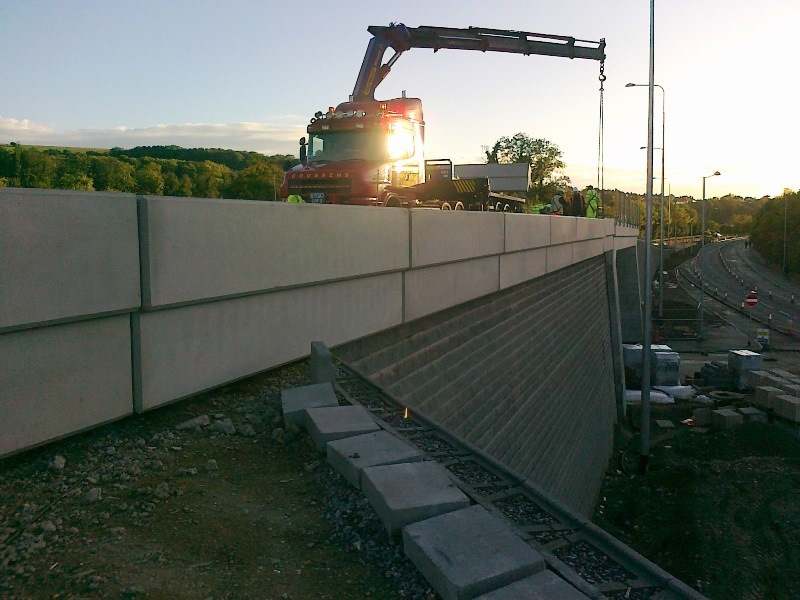 The retaining walls are predominantly reinforced soil construction with an ‘Allan Block’ segmental modular concrete block facing and Huesker geogrids. 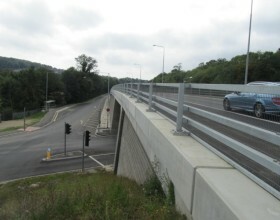 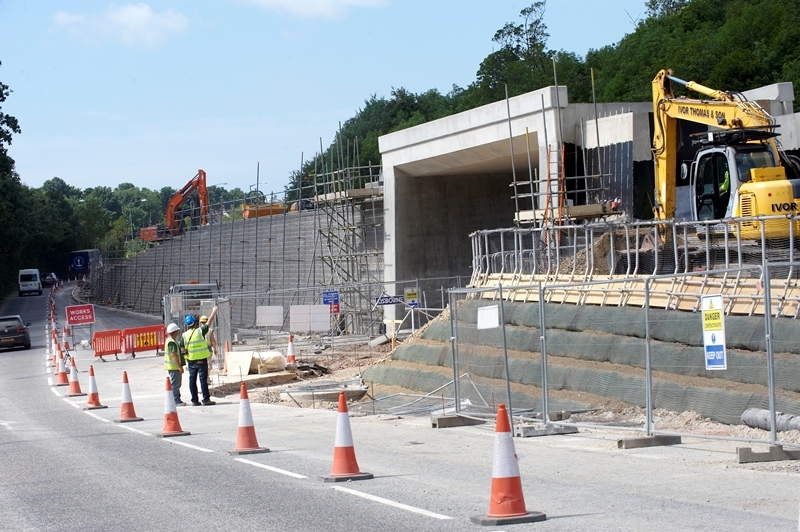 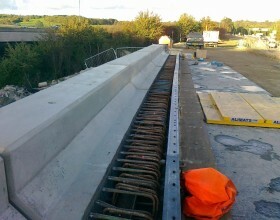 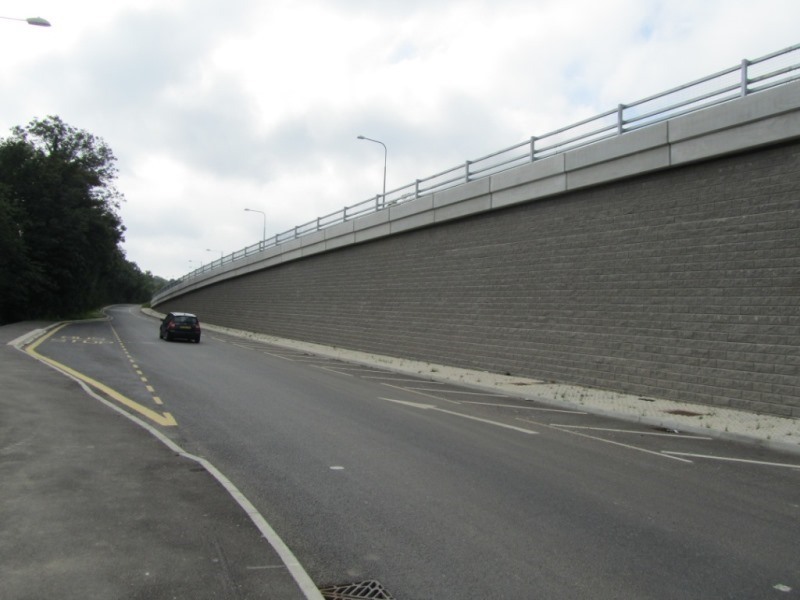 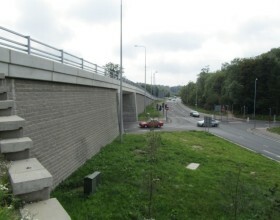 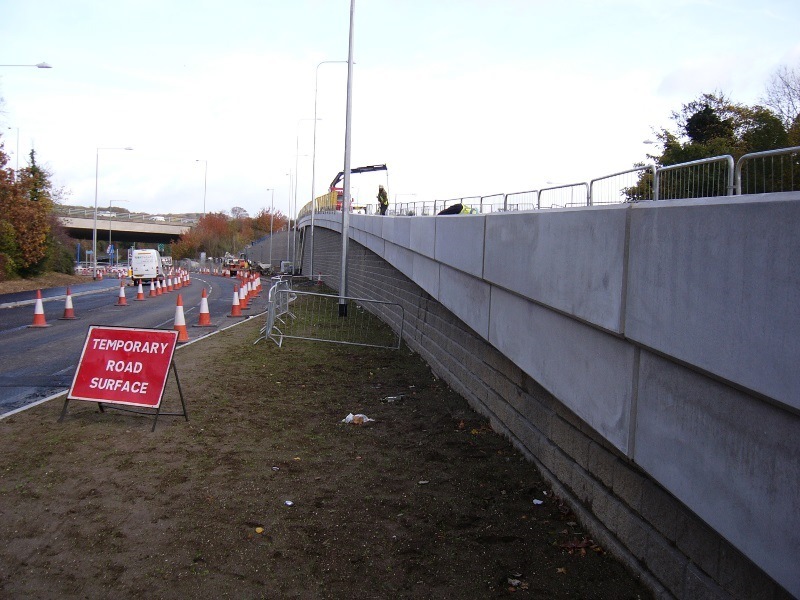 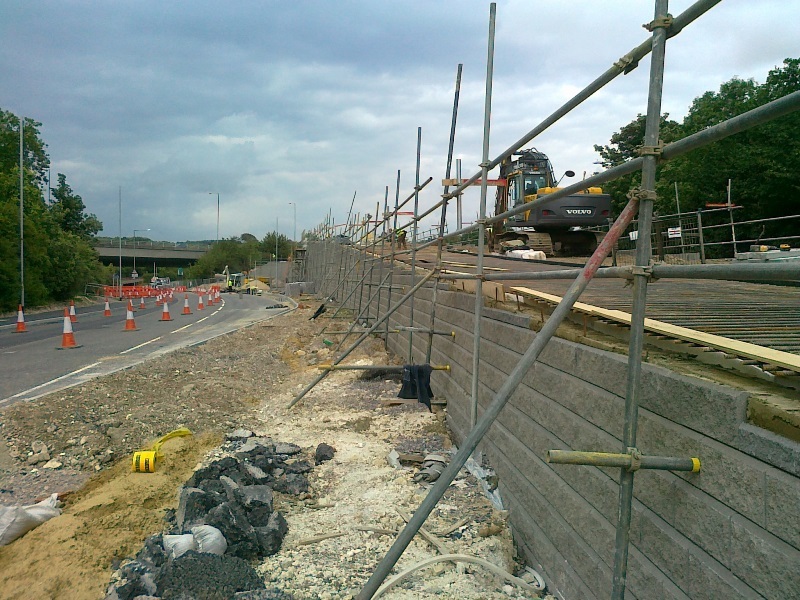 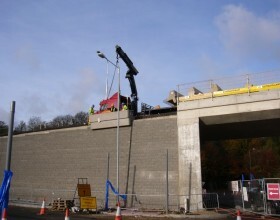 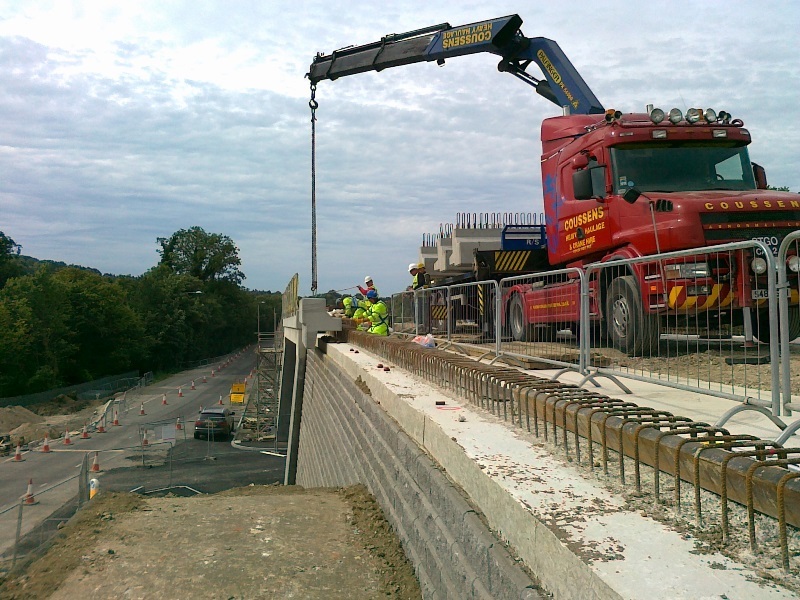 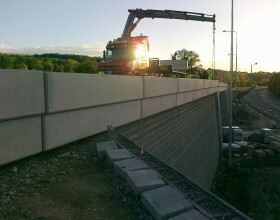 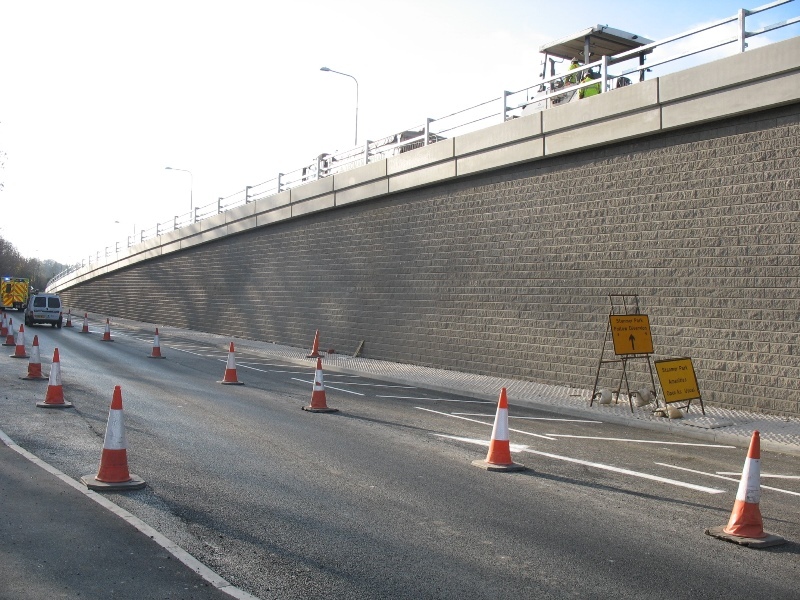 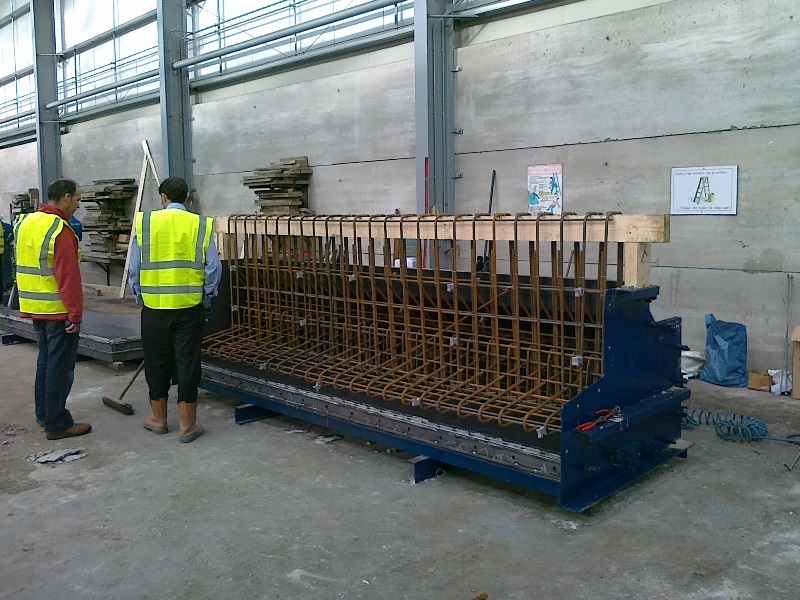 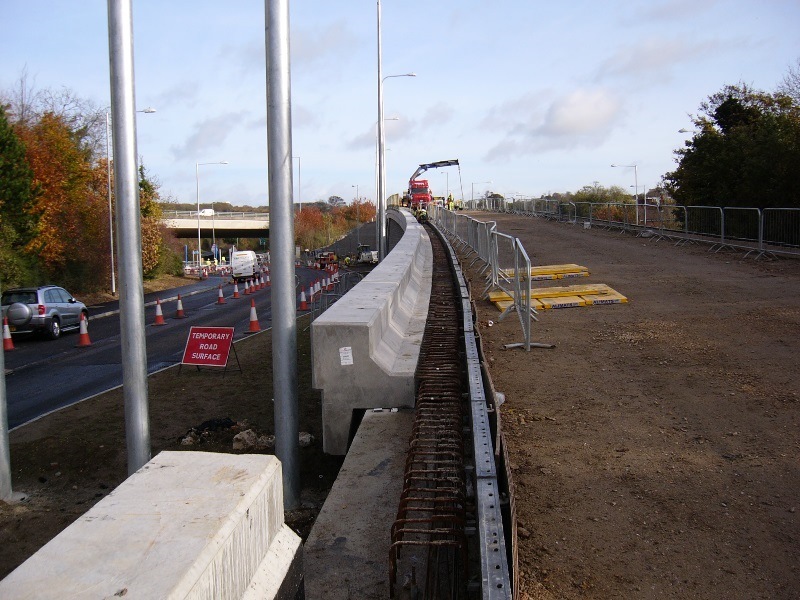 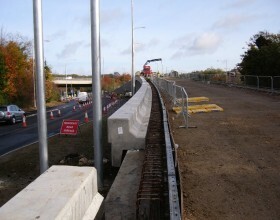 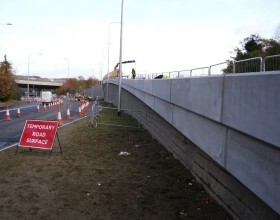 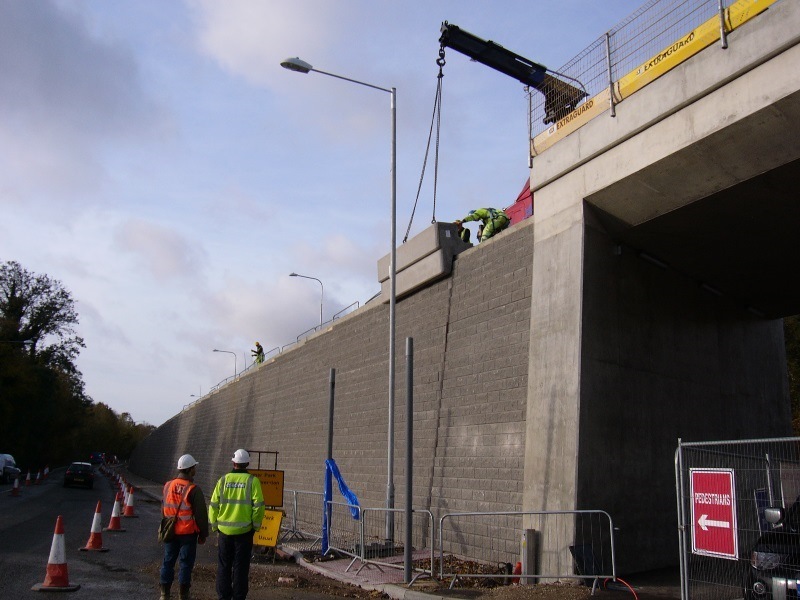 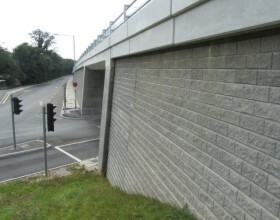 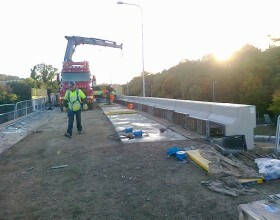 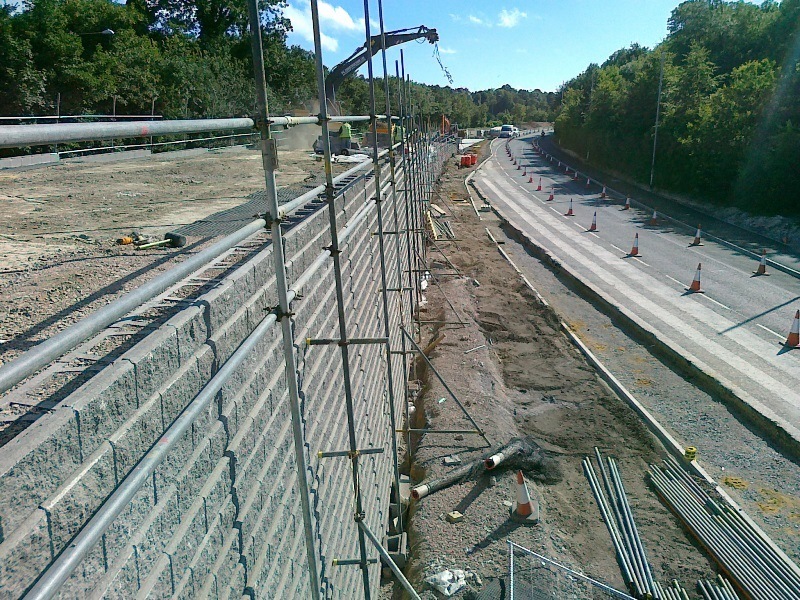 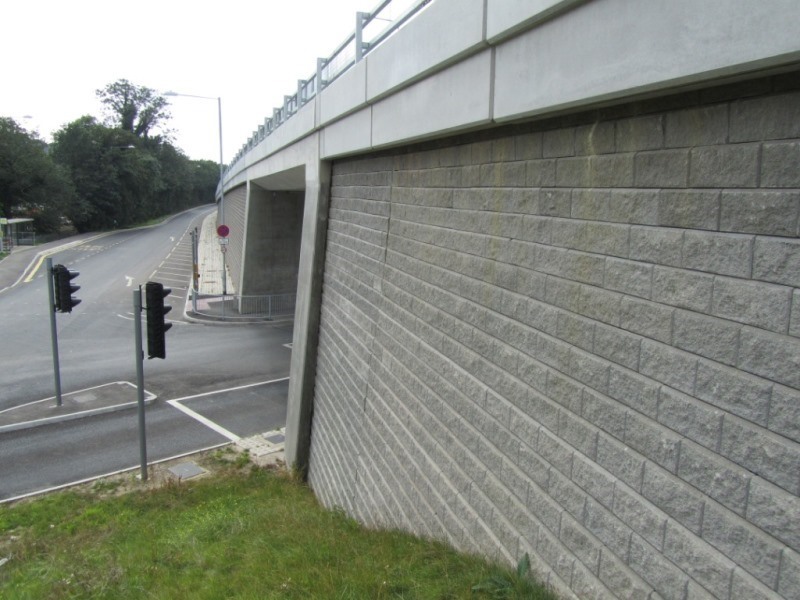 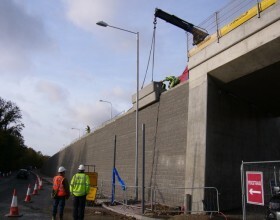 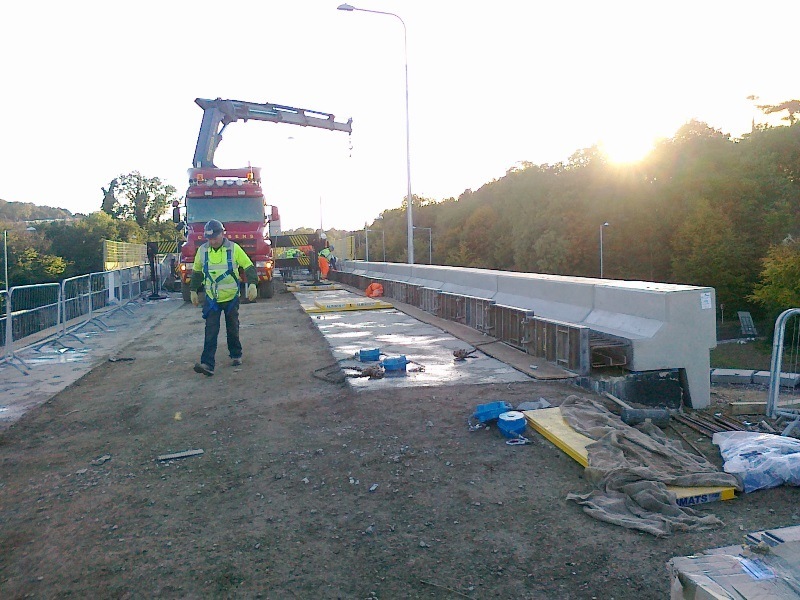 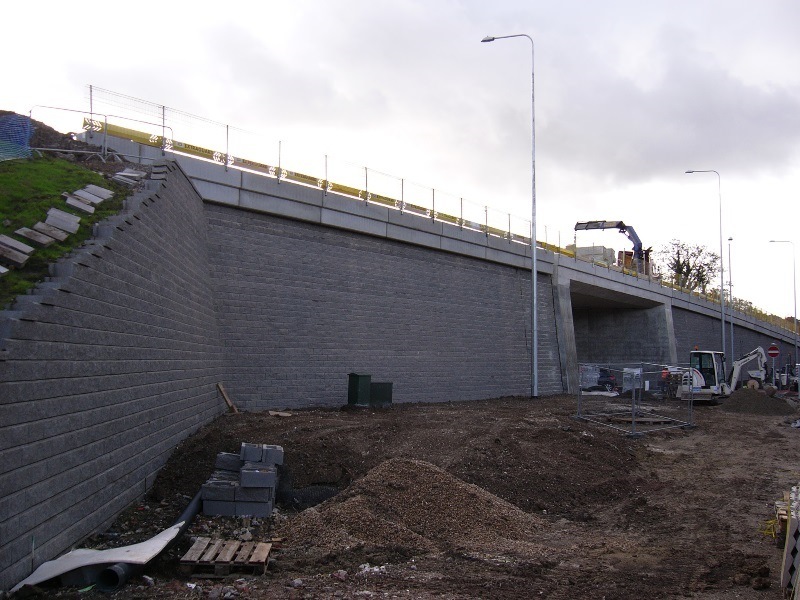 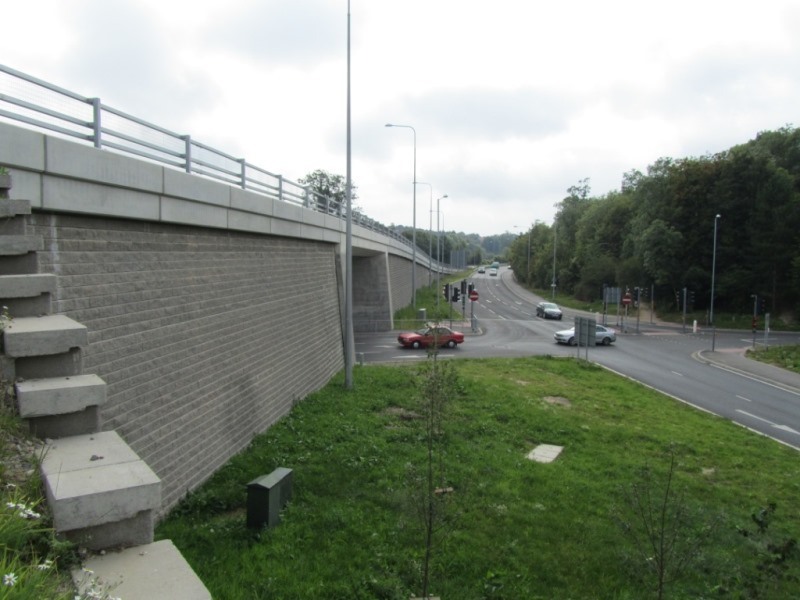 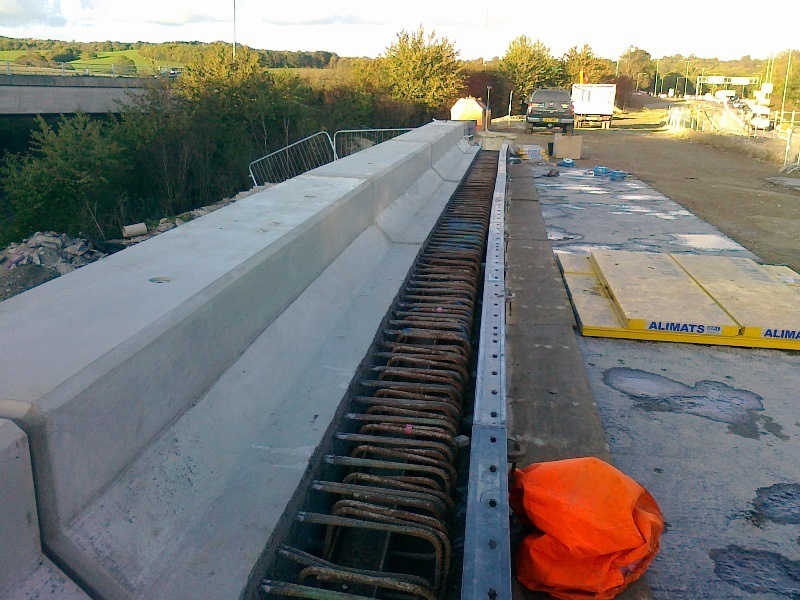 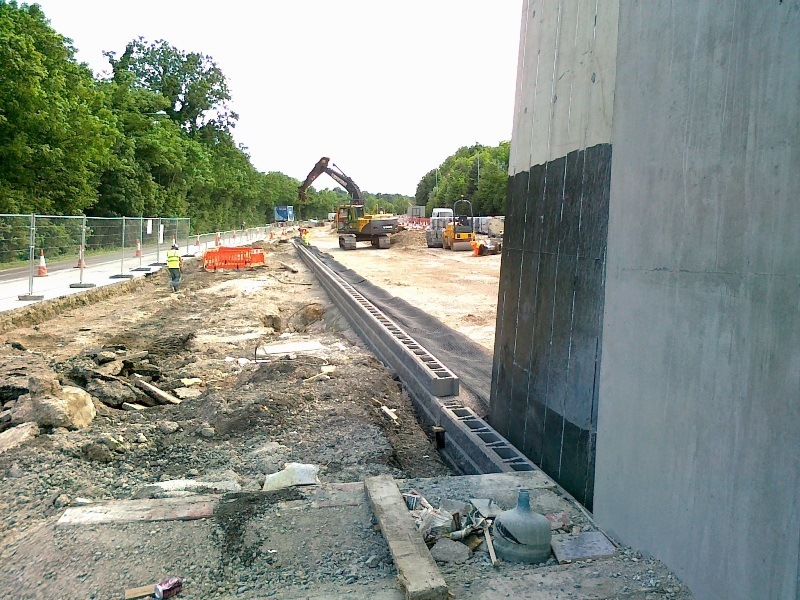 The road restraint system above the walls was provided by utilising a precast concrete parapet coping attached to a cast insitu reinforced concrete reaction slab supported on the reinforced soil wall. 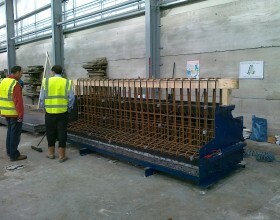 Two short lengths of cast-insitu reinforced concrete walls were constructed to the South of reinforced soil walls.